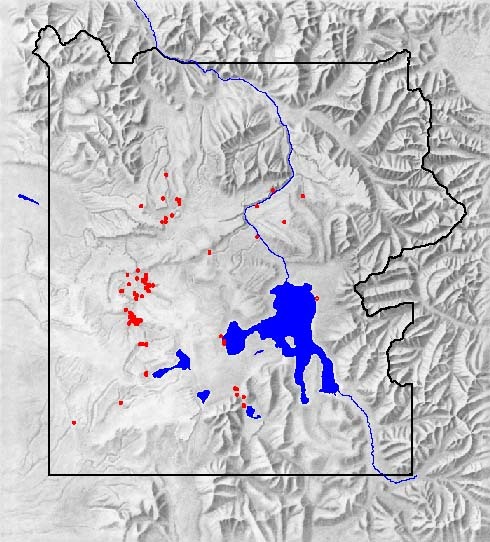 This is a preliminary plot of Yellowstone's geysers individually, indicating the extent of individual geyser basins. Data is extracted from my working database of geyser locations which is currently of low accuracy. The Yellowstone River is also shown. The base map is from the National Park Service. © 2001 by Wm. Robert Johnston. Return to Home. Return to Geyser Resources.